CHICAGO – I usually avoid this kind of hyperbole but I adore the best of Studio Ghibli and know their entire catalog well and so I feel I can say it — “My Neighbor Totoro” is one of the best family films of all time. Hayao Miyazaki’s gentle variation on “Alice in Wonderland,” has everything that we identify with Ghibli, including a respect for nature, magical sense of fantasy, and importance of family. Available in HD for the first time, “Totoro” is a must-own. While “Howl’s Moving Castle,” also released this week, doesn’t quite stand with the best of Miyazaki (“Totoro,” “Spirited Away,” “Nausicaa,” and “Princess Mononoke,” for the record), it’s still a fun movie and a great fit for HD. It looks beautiful. Miyazaki is timeless and being able to see films as visually stunning as the Ghibli works on Blu-ray is a gift. I wish they were all available. Someday. For the first time on Blu-ray, Disney proudly presents a remarkable Studio Ghibili film from Academy Award winning director Hayao Miyazaki (Best Animated Feature, 2002, Spirited Away). How’s Moving Castle soars like never before with a new HD digital transfer and perfect picture and sound! Sophie, a quiet girl working in a hat shop, finds her life thrown into turmoil when she is literally swept off her feet by a handsome but mysterious wizard named Howl. The vain and vengeful Witch of the Waste, jealous of their friendship, puts a spell on Sophie. In a life-changing adventure, Sophie climbs aboard Howl’s magnificent flying castle and enters a magical world on a quest to break the spell. Featuring the voice talents of Christian Bale and Billy Crystal, Miyazaki’s artistry comes to life with inventive characters, unique storytelling and richly detailed animation. Your whole family will love this epic fantasy on Disney Blu-ray! Disney presents a studio Ghibli film about the magic of friendship and sisterhood from Academy Award-winning director Hayao Miyazaki (Best Animated Feature, 2002, Spirited Away). And now, it is available for the first time on Disney Blu-ray, with a new HD digital transfer and perfect picture and sound! Follow the adventures of Satsuki and her four-year-old sister Mei as they discover their new neighbor is a mysterious forest spirit named Totoro who can only be seen by the eyes of a child. As Totoro introduces the girls to his extraordinary friends, they embark on the journey of a lifetime. 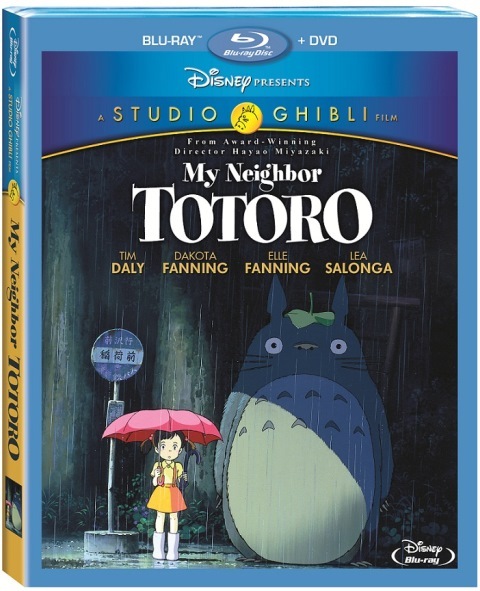 Featuring the voice talents of Tim Daly, Lea Salonga and real-life sisters Dakota and Elle Fanning, My Neighbor Totoro is an amazing animated adventure the whole family will fall in love with. 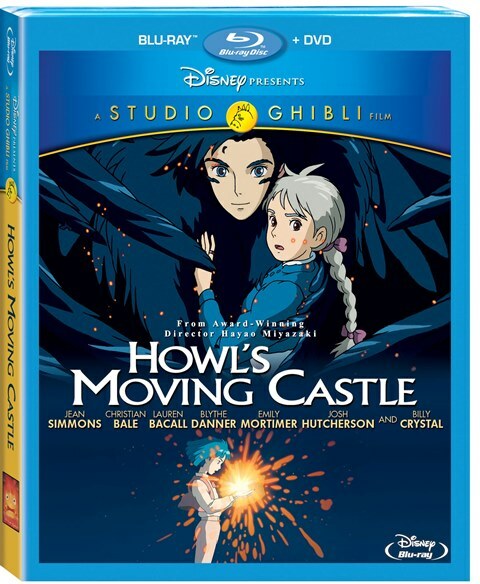 “Howl’s Moving Castle” and “My Neighbor Totoro” were released by Disney on Blu-ray on May 21, 2013. Submitted by JENNY K (not verified) on May 22, 2013 - 10:15pm. I must comment that Totoro is one of the best films, but with the original cast before they made it so Hollywood. The Fanning sisters don’t even come close. Submitted by BrianTT on May 24, 2013 - 9:00am. That these releases also include the original Japanese language tracks.